I originally posted this in my sketchbook post on here, but I'm assuming I should be posting here if I want to actually ask for feedback. 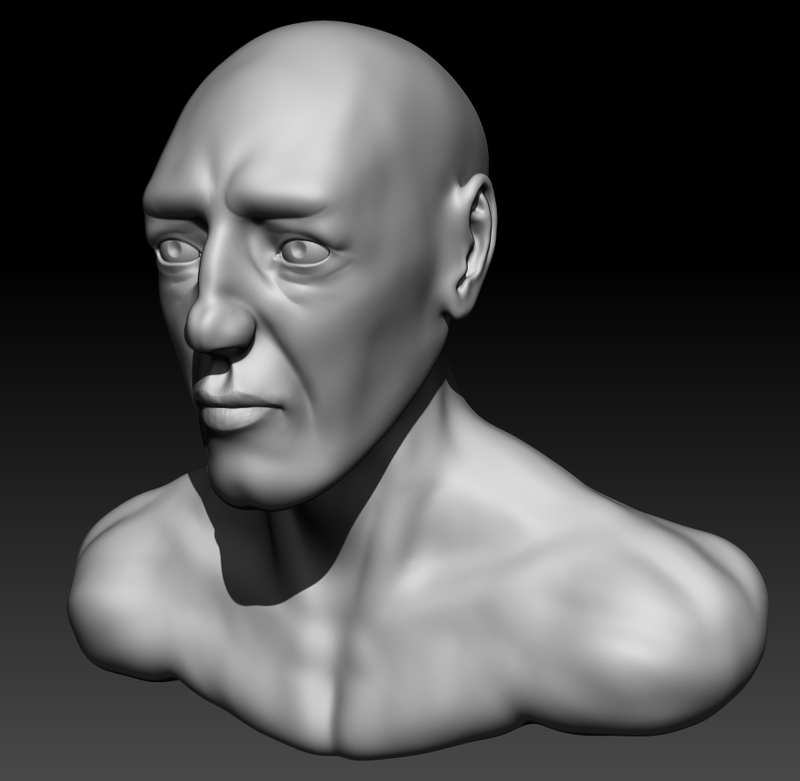 This is my first face sculpt. 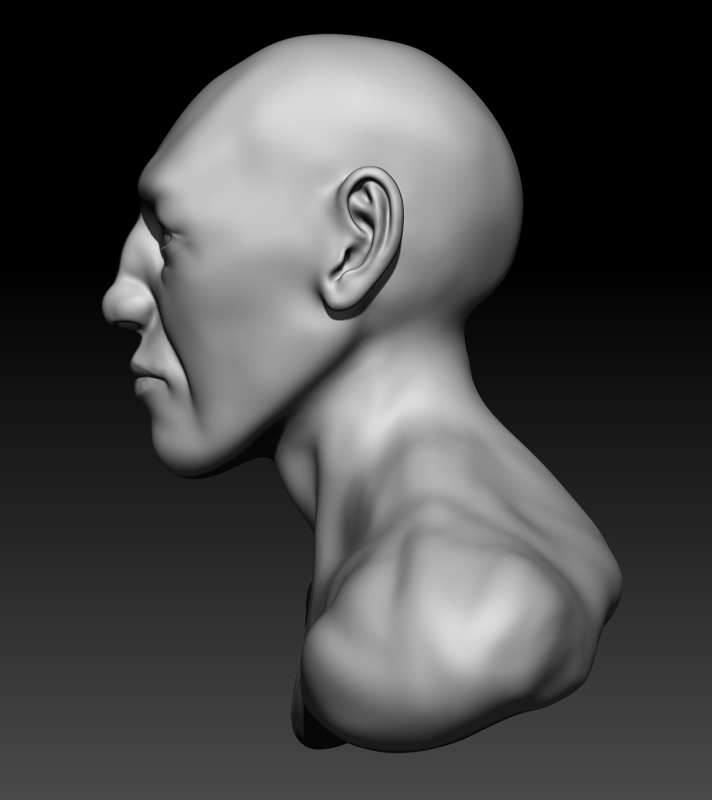 I have attempted face sculpts once or twice in the past, but this is the first time I have attempted it after analysing reference photos and have followed an online course that goes over anatomical features of a human head. I have not gone over the anatomy of the torso yet, so I'm sure the shoulders and clavicle look funky, but any feedback on that is also welcomed. 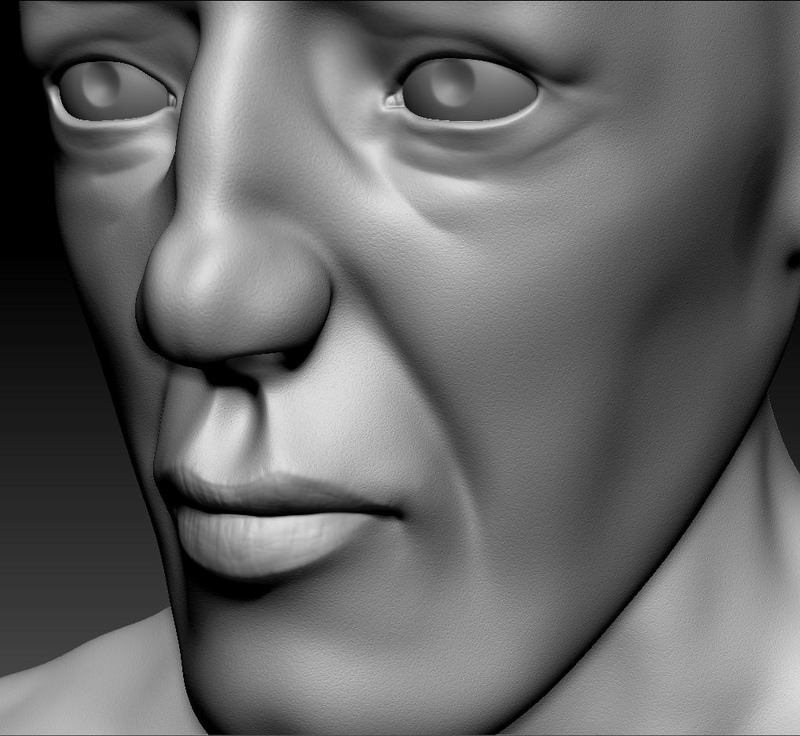 I have attempted to use the noise filter in Zbrush for the pores, but I'm thinking maybe manually sculpting them with an alpha might be easier to achieve better results? 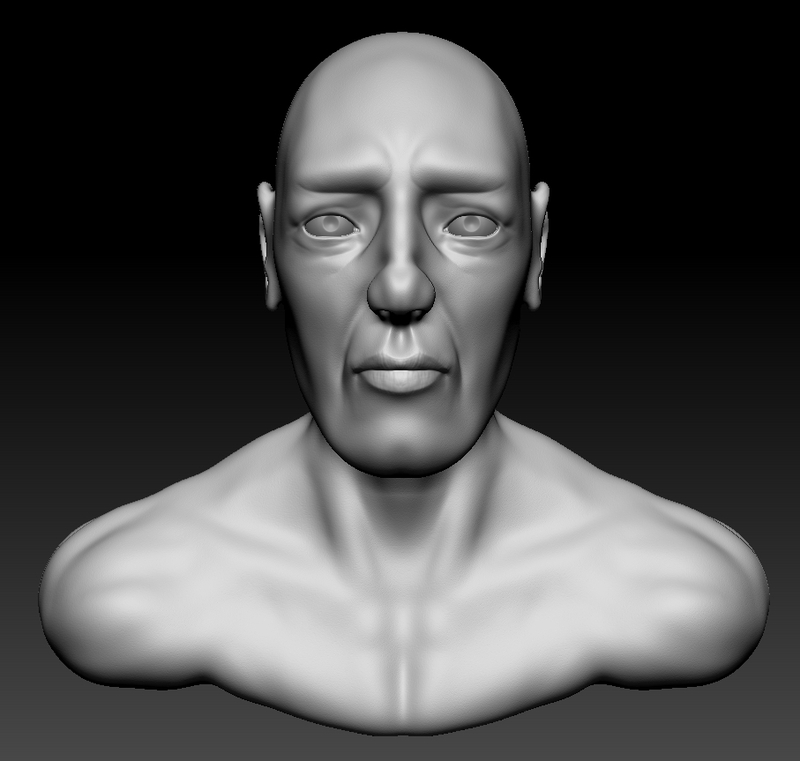 EDIT: One thing I have noticed in retrospect, since I was aiming for a somewhat older man, I should have added significantly more wrinkles, especially on the forehead. But my primary concern is if my understanding of anatomy is there and how much further I have to go before my understanding of anatomy is solid.